European Voluntary Service allows young people aged 17-30 to express their personal commitment through unpaid and full-time voluntary service for up to 12 months in another country within or outside European Union. The main goal of an EVS is the learning experience. In order for this to be achieved there are some support measure provided to the volunteer. a) Pre-Departure Training – provided by the National Agency, but lately provided just by the Sending Organization, prepares the volunteer for departure, for the hosting environment, for the tasks to accomplish, for the cultural differences and for any difficulties that might occur during the stage. b) The sending organization – is always in touch with the volunteer through their project responsible. 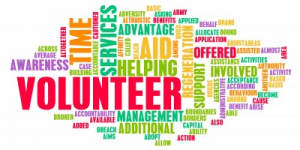 The volunteer can and many times has to ask for support and help and the organization is entitled to ask for periodical reports and statuses. c) The induction and orientation meeting – is a short preparatory meeting organised by the hosting organization in order to acquaint the volunteer with its working place, tasks and with colleagues (paid workers or volunteers). d) On-Arrival Training – organised by the NA in the beginning of the volunteering stage (first month, or the latest in the second one) has the role to help the volunteers to adapt to cultural and personal challenges. It allows volunteers hosted in the entire country to get to know each other and to build a network. Read more details about On-Arrival Training, here. e) Other trainings, teambuildings or preparations – according to the objectives of the project and to the tasks foreseen the hosting organization provides different other types of trainings for its volunteers. Examples: trainings in working with children, child psychology, working with teenagers, non-formal education methods, working with disabled people, working with elderly people, digital skills, audio and video editing, web developing and many others. e) Mid-Term Evaluation – is the second EVS event organised by the NA in the host country and its meant for volunteers with stages longer than 6 months. It allows volunteers to assess their experience so far and to reflect on the activities, role and support of the Receiving Organisation and on their own contribution. The mid-term evaluation is essential for risk prevention and crisis management and it thus facilitates conflict resolution — if necessary! In addition, volunteers share experiences and increase their motivation. f) Final Evaluation – in the end of the stage, the hosting organization prepares a meeting in which the volunteers ending the mobility, together with the organization staff and other people involved in the project (mentors, local volunteers, other relevant stakeholders etc) discuss the project results in accordance with the project objectives and expectations of all the people involved in it. g) Post-EVS meeting – this is an event organised once a year by the NA in the sending country. It gathers volunteers which have completed their EVS stage abroad and which have returned to their home country. It is particularly important as an opportunity for those who have finished their voluntary service during the past year to discuss and evaluate their experiences and to pass them on to current and potential volunteers. But this is not all. During the mobility every volunteer receives the help and the support of a mentor. Mentor is a person that can help a volunteer to reflect on his/ her experiences and through the process of reflection help to find a personal way of change, if it is wanted by the volunteer. Mentor also oversees such processes as acculturation, cultural shock, learning process, learning process during volunteering experience and is capable of reacting in those moments when the need is felt or observed . Mentor can be also open to meeting the volunteer not only for reflection but also bonding as friends, to be able to create a trust-based relation between them. More details about what a mentor does, you can read here. And last but not least is the Youthpass. Even though is about non-formal education the European Commission decided that a form of recognition of the learning results in a mobility project, like the EVS ones, could be more than welcomed. This is how the Youthpass certificate appeared and it gets a bigger and greater value year by year.